Traveling can connect you with all walks of life. While we were traveling in San Diego we met @lifeofkuhl a Canadian family of 5 traveling the Western US and Baja, Mexico, while homeshchooloing the 3 children. We me them at he SoCal van gathering and had traveled with them all the way to Vail, Colorado before we parted ways. One of our stops with the Kuhl’s along our epic road trip was in Yosemite National Park in May. This was a great time to visit the park it was just before school was out and before busy holiday weekends, and most importantly fire season so it was clear and the crowds weren't too hectic. 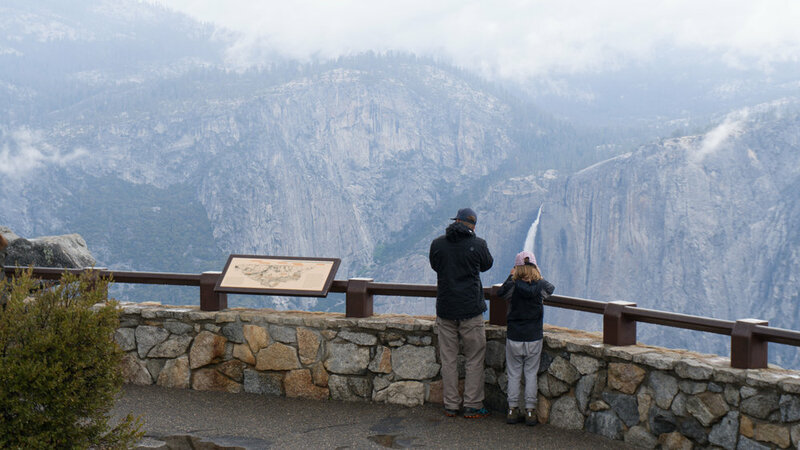 If you’re heading to Yosemite here are a few family friendly activities that the kids will love. We came in from Kings Canyon so our first stop was Glacier Point in my mind a mandatory Yosemite stop for sunset this is a family friendly activity the view are amazing (some of the best on earth) and there is little hiking involved (0.5 mile) to get them. There is plenty here to keep the kids busy and entertained. 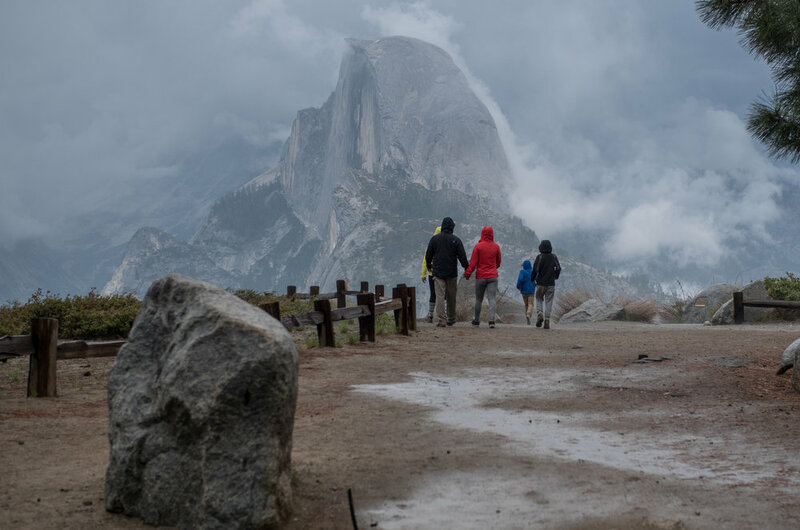 If you are looking for more head to the Sentinel Dome trail (2.6 Miles Moderate) for something to really get the kids tired. Yosemite Valley has a 17 mile bike trail (Valley Loop Trail) that goes around the entire valley. While you don't have to ride the 17 mile ride you can bike to a few places for the kids to hang out. 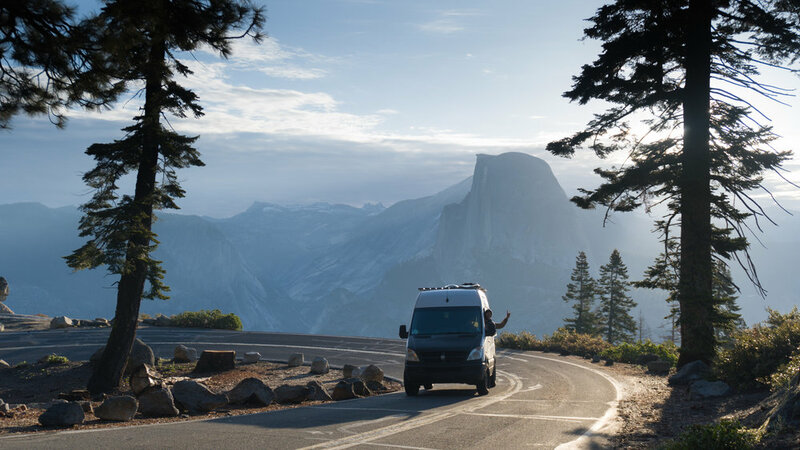 You could make a short bike ride from Half Dome Village to the Merced River to cool off or bike to Yosemite Falls this trail will let you access plenty of family friendly hikes and places to enjoy the valley views. There are plenty of easy but entertaining trails in the valley for the whole family to enjoy. While with the Kuhl's we hikes a number of trails. We started the day off with shuttle ride from Half Dome Village to Lower Yosemite Falls (1.0 Mile Easy) There were plenty of boulders and side trails that the kids enjoyed. We then headed across the valley to Mirror Lake Trail (4 miles easy) here were hung out set up hammock and the kids found a rock to jump off and swim in the lake. After that that was enough to get the adults and kids pretty tired. During busy season head to Tuolumne Meadows on the east side of the park. Lembert Dome Trail (2.3 Miles Moderate) is a great hike for families and has a major pay off at the end. This is a uphill climb but it is worth every step the kids will love the wide open granate surfaces to scramble on. This was something that we weren't prepared enough for but now we are after purchasing our Intex Challenger K1’s. The Kuhl’s had two stand up paddle-boards and inflatable rafts (their Canadian) but we didn't and the price to rent was out of our budget. However knowing this we are passing the information on to you to be prepared with rafts or SUPs if you are there in late spring the river looked amazing. You will also need to arrange a pick up vehicle since they charge you on the shuttle so plan ahead. 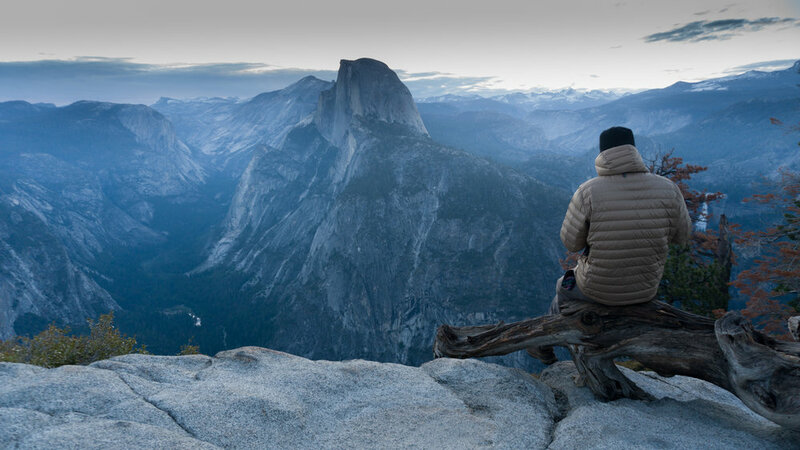 I believe the start is near Half Dome Village and ends at Swinging Bridge.